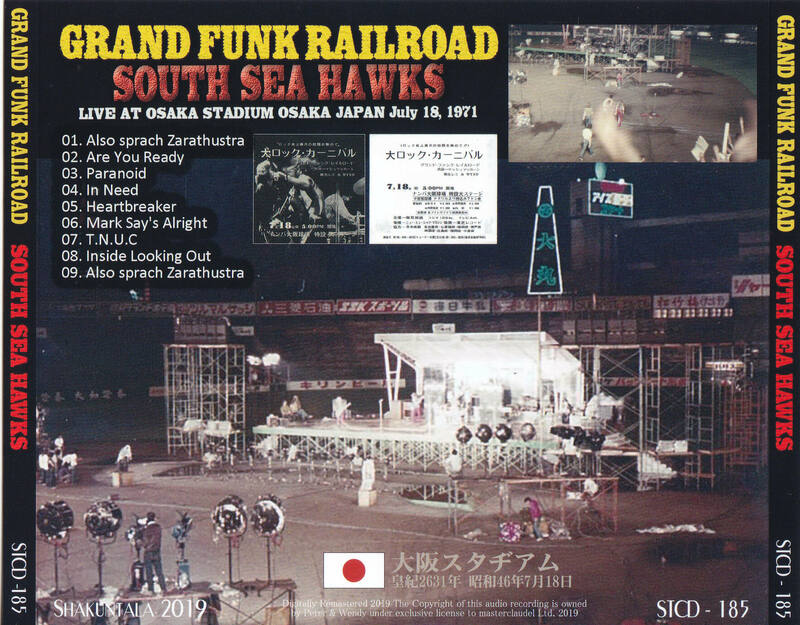 It is probably the influence of the legendary 1971 Korakuen Stadium live that Grand Funk has a special sound for Japanese rock fans. 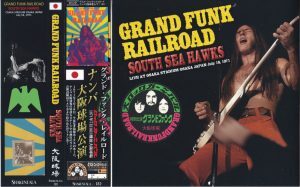 Grand funk is more popular than Zeppelin for rock fans at that time, and a baseball stadium has been chosen as the venue without entering the Budokan. The number, really 40,000 people. There were no rock bands that boasted so much ability to attract customers. At that time, many bands were invited to perform concerts in the name of a rock carnival. Pink Floyd, Zeppelin, Free, Chicago, and now a great band that has made rock history, is visiting Japan as an active role. The historic live that can be called the golden age of rock was unfolding every night. Among them, Grand Funk was a special case. The baseball field is originally for professional baseball, which is a national sport, and Noban Osaka baseball stadium is the home base of the times when Katsuya Nomura is also a player-director, while Katsuma Noda, Isao Hirose and Hiromitsu Kadota are lined up Aren’t you scared? Stadium performances are not unusual at this time, but bands that can perform concerts of this size at the time did not even look over at home and abroad, and it can be seen how popular the Grand Funk at the time was. Even the Beatles and Zeppelin are Budokans. Even in Japan, Tigers used the event Korakuen Stadium, and it was unparalleled to fill the audience with pins. 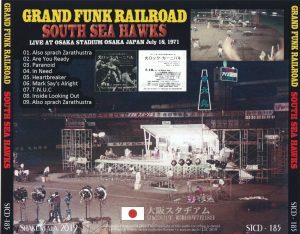 Speaking of Grand Funk Japan performances in 1971, the Korakuen Stadium is famous for its rain, but this work is a concert at the Osaka Stadium the next day. As you can see from the photo on the day of the back jacket, there were no seats in the field, and the seats were only stands. This was the same for concerts in the United States, and there was no idea to set up a seat in the field. Still, probably at the stadium’s concert, which most people would have experienced for the first time, I was excited about the rare experience of seeing the world’s largest band. 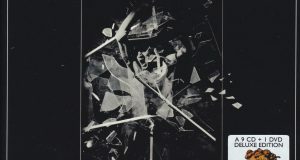 The flyer for the concert is accompanied by a sentence saying, “7 tons of sound equipment were transported from the United States by air”. 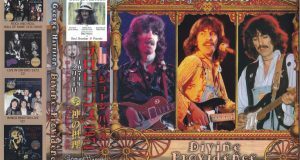 In addition, the fact that the latest album at that time was a live version called “Grand Funk Live Album” may be one of the factors that raised the expectation. 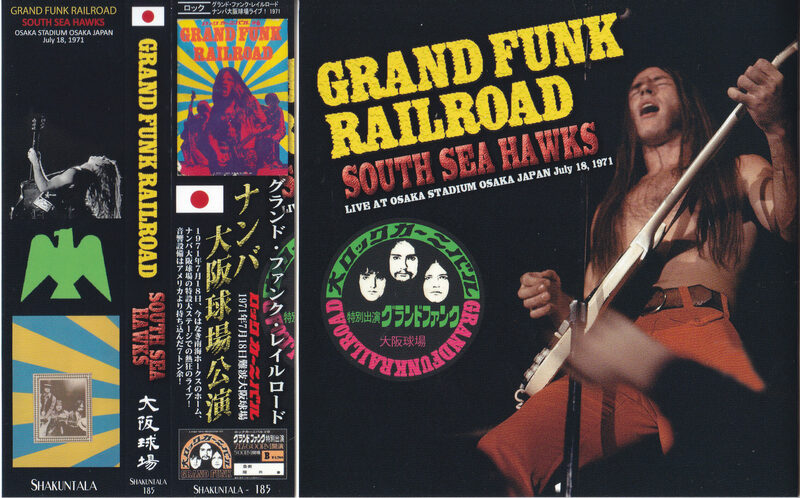 The rumored Grand Funk concert was held on July 18, 1971, at the fully-stocked Osaka Stadium. 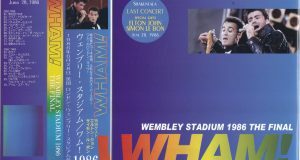 The day after the legendary Rain Korakuen Stadium, complete recording of incandescent live at Osaka Stadium with high sound quality. Completely recorded until the opening and ending “Zaratustra talk”. A permanent press with beautiful picture and disc specifications. Japanese band included.